​Gabor Boczko, attended the 2012 IFC camp before becoming a World Champion in 2013. He is an established fencer in the top ranks of the world, and most recently an Olympian attending the Rio 2016 games. ​Erika Kirpu, A Member of the Estonian Olympic Team, is ranked 16th in the World in Women's Epee. 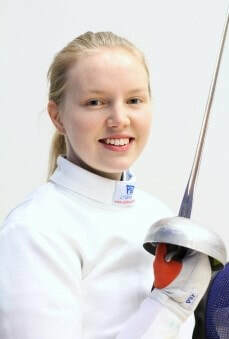 Anna Salminen of Finland, is highly Ranked amongst Finish Fencers. She Fences Regularly in European and World Competitions. Most recently winning a World Competition Bronze Medal in October 2015. 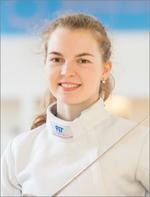 ​Sara Salminen, a rising star Epee fencer from Finland. Participates in Junior European competitions regularly. Senior Men's Foil Div1A, 3rd Place Kick Off ROC,Fredericksburg Expo Center,Fredericksburg,(VA). Senior Mixed Epee, 18th Richmond's Tune-up Open,Richmond Fencing Club: Richmond,(VA).